Rich Homie Quan and Young Thug join forces again for "Ain't Trippin'." Rich Homie Quan released a big remix last night for his "Blah Blah Blah" record, adding Ty Dolla $ign, Fabolous and DeJ Loaf to the cut. 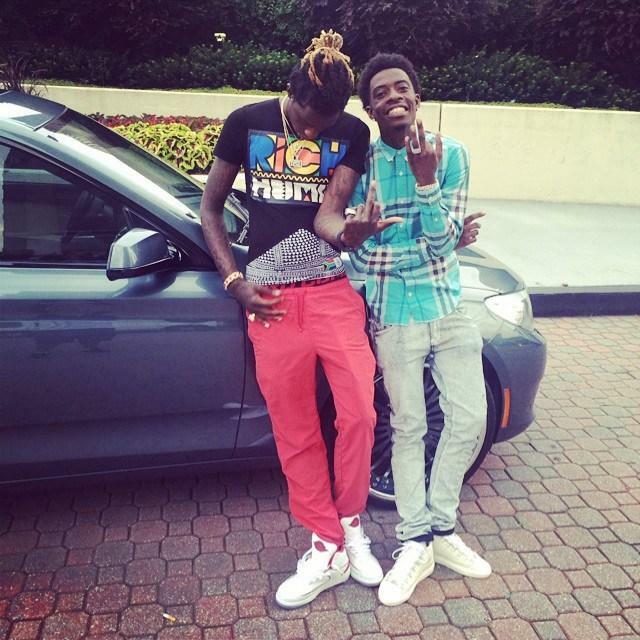 Now we have another collaboration from the rapper, featuring his Rich Gang collaborator Young Thug. In addition to going on a "Lifestyle" tour together, the two collabed on Tha Tour Part 1 mixtape with Birdman. This loose cut could be a leftover from the Rich Gang sessions, or just a random track in the stash. The two rappers trade bars on the hook as they swear that, despite however many drugs they dabble in, they ain't trippin.